This week's Sneak Peek Tuesday item is the Saber Tooth Necklace. The necklace is so authentic it will take you back in time to the days of cavemen. 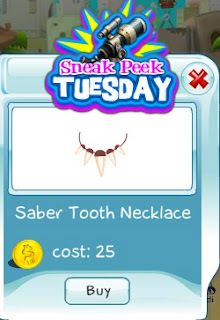 Get this item today before the limited sneak peek ends.